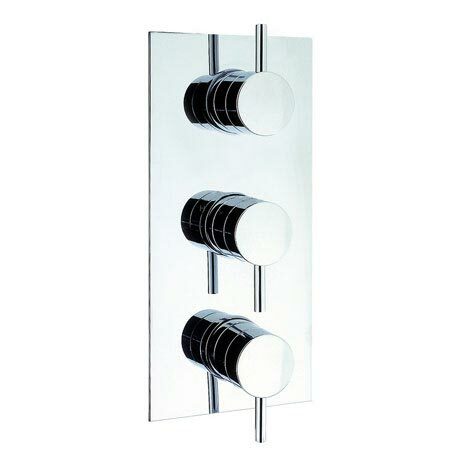 The Fusion triple thermostatic shower valve is contemporary styled to suit the modern bathroom of today. Features three flow controls and allows you to use two outlets separately or at the same time. Operate a bath with shower, or with two shower outlets. Features ceramic cartridges for a smooth operation the valve has been engineered to suit british plumbing systems.